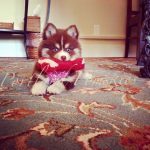 Kaya is a chocolate 50/50 pomsky! She is registered with the PCA and has been genetic tested! She is full grown at 12 lbs and is built petite. 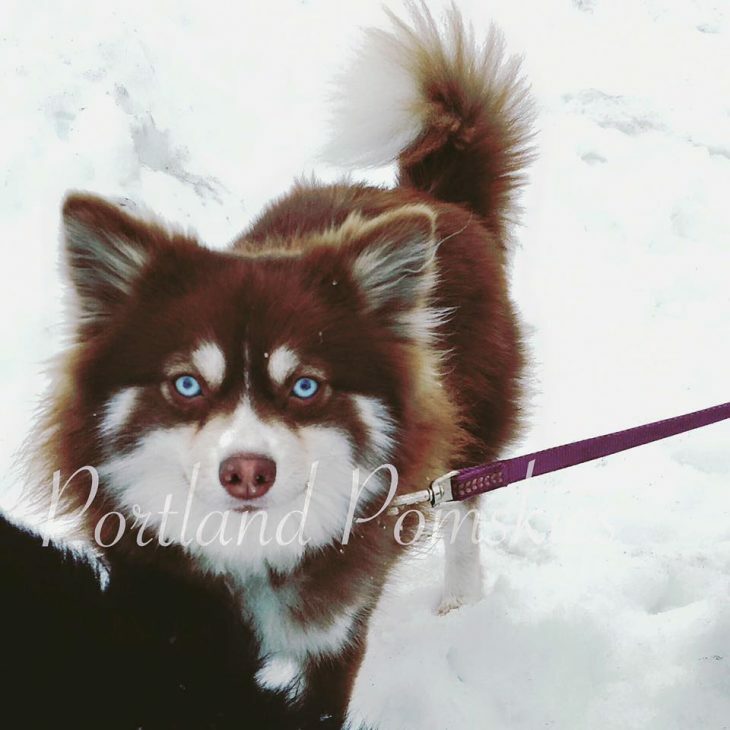 Kaya has two blue eyes and is a wooly coat pomsky. 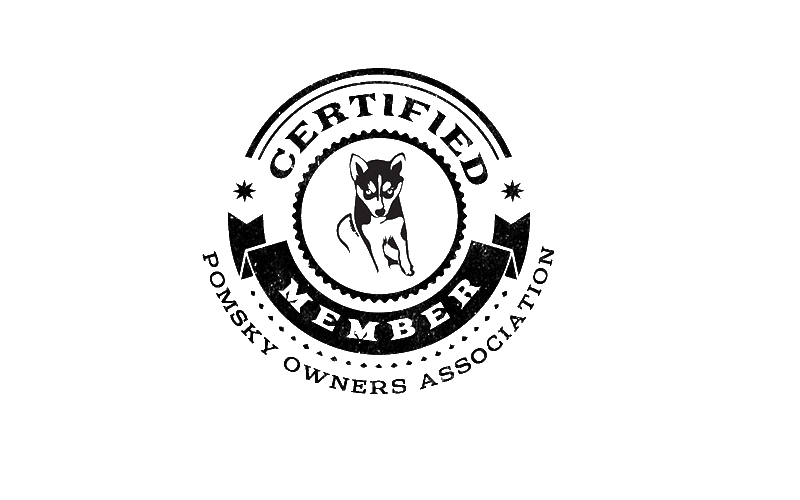 This means her mom (a siberian husky) has a wooly coat. Kaya is very loyal and dedicated to her “human mom.” She loves being right next to her and will not leave her side! 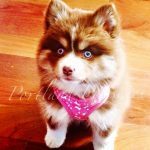 Kaya will be bred to both pomeranians and pomskies to create beautiful pomsky puppies! 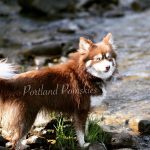 Kaya has her forever home at Portland Pomskies and will not be offered for sale once retired.